This week's Flashback photo was a class assignment for a digital photography course I took during my senior year of college. The assignment was to take a advertising product photo of an alcohol bottle. 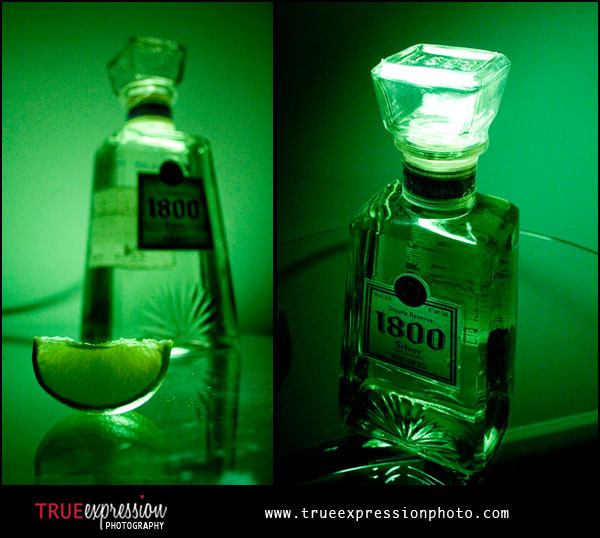 I chose to photograph this bottle of 1800 Tequila because I really loved the look and shape of the bottle, especially the top. I lit the bottle under green lighting. I adjusted the angle, focus and lighting in the two photos to emphasize different aspects of the bottle.